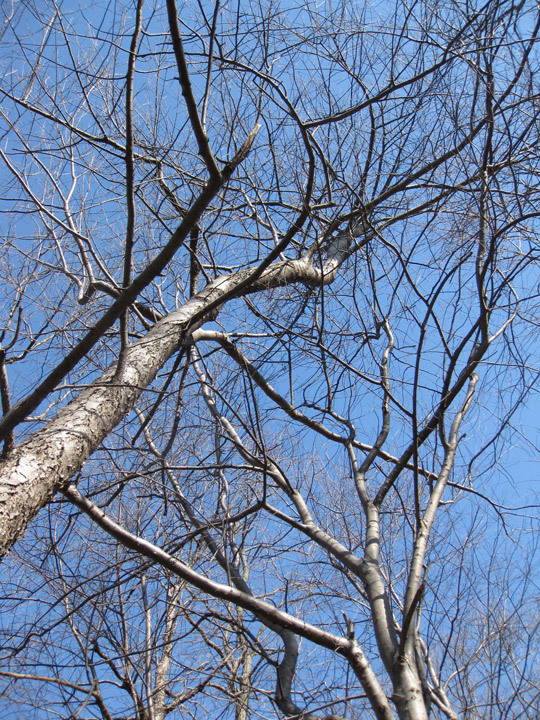 Anyone who has trees – and a few who don’t – is now faced with post-Sandy cleanup. 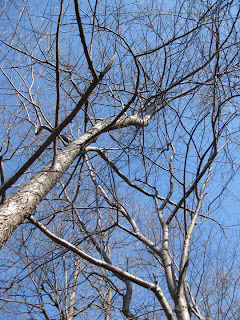 While you’re surveying the trees and branches that have fallen on your property, don’t forget to look up. As you clean up your yard and get back to pre-storm life, it is important to carefully scrutinize the surrounding trees. shift in one of trees. Many branches that snap off in the wind don’t make it to the ground right away. They can be hung up on the lower branches of a tree or powerlines. These branches could drop to the ground because of a gentle breeze, a frisky squirrel, or just the passage of time. If branches are hanging on an electric line, stay clear and call your electric utility. If they are in a tree, stay clear and call Almstead. Look at your trees carefully. Has there been any shifting? If you are familiar with your trees, you may notice a change in their outline against the sky. Take a good look at the roots for any sign of upheaval. If a tree’s balance has shifted, it could fall without the aid of a hurricane. 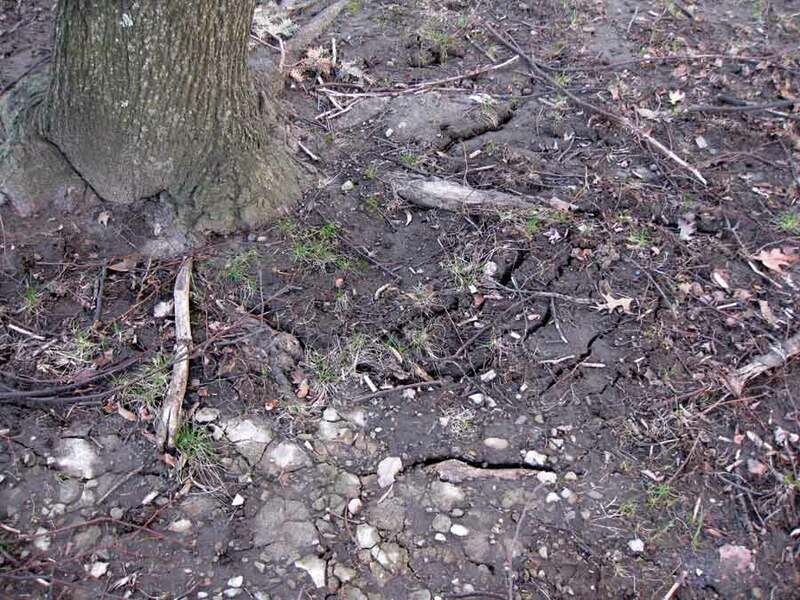 Sometimes stress cracks will appear that make the tree vulnerable to failure. Also, any tree that has been cabled or braced should be checked to see that everything is still intact. An annual inspection by an arborist is always a good idea, but it is even more important after a major storm. 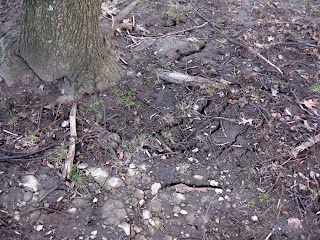 This cracked soil indicates a shift in the roots. It is often necessary to follow up storm damage with additional pruning. Branches that have been snapped or ripped off – or incorrectly pruned by an emergency service – are much more likely to decay. Following up with proper pruning cuts is better for the health of the tree. When cleaning up after the storm, we don’t recommend that you use a chainsaw unless you are trained and are wearing protective clothing: our tree crews wear glasses, gloves and chaps. Chainsaws are dangerous even in experienced hands; there is always a danger of the log or the saw springing back. Our advice is to call us to cut up any large branches or fallen trees.